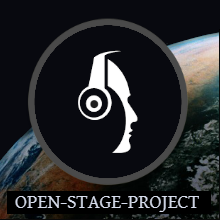 The Open-Stage Project is a new music channel where members with Broadcaster role can connect and stream their own live music shows, with their favorite music software. You can submit an event before you’re showtime, to let your listeners to know when you’re live, more info Connect To Stream. We haven’t added any schedules yet, the stream is open to anyone that wants to start their own live show, if the stream is not in use by another broadcaster, you’re free to connect. First signup as a member above, then contact us with some info about your musical styles and the type of show you’d like to broadcast, we’ll add this info to your broadcaster bio page. Get in touch through our FaceBook page if you prefer, this way you can keep in touch and exchange your info with us. If you’re new to shoutcast streaming, we can help configure your music software encoder, you’ll be streaming live music in minutes.. then you can let your listeners know you’re live on Open-Stage. You have a lot of choices when deciding which music software to use for live streaming your music. Check these Shoutcast guides for some popular music programs that connect to a Shoutcast server. We’re streaming some of our favorite old Essential Mixes until a live broadcaster takes the airwaves. When a live broadcaster starts streaming, our AutoDJ will fade out, when a live show stops streaming, the AutoDJ will kick back in, no dead-air between DJ changeovers. Each broadcaster has their own dj account info, IP, Port, Password etc. which they’ll use to connect to our Shoutcast streaming server.